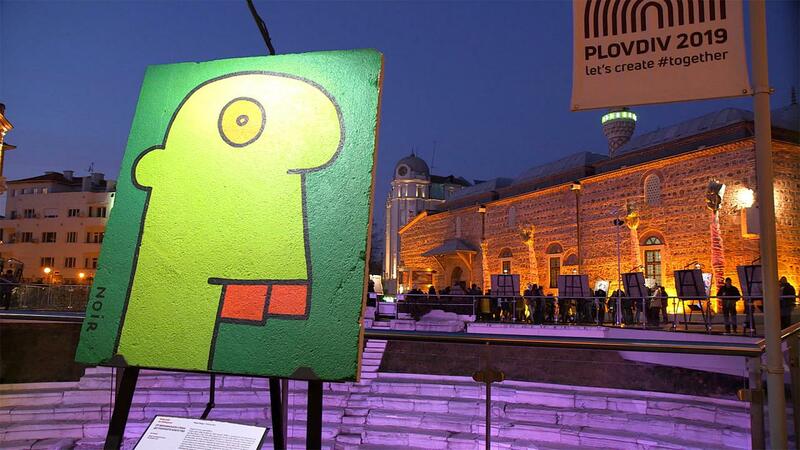 The Bulgarian city of Plovdiv is officially European Capital of Culture. It is one of Europe's oldest cities, with many architectural landmarks dating back to Thracian, Greek, Roman, Byzantine and Ottoman times. To celebrate the ancient heritage and it's multi cultural past and present, Plovdiv chose the motto 'Together' for this year as Europe's Capital of Culture. "A historic city with 8,000 years of continuous human habitation, with a multi-ethic past and almost six decades of totalitarian Communism is this year's Cultural Capital of Europe," said Euronews journalist Wolfgang Spindler. "Together is the leitmotif; in this time of Brexit and rising nationalism, there could be no better message than this," he added. 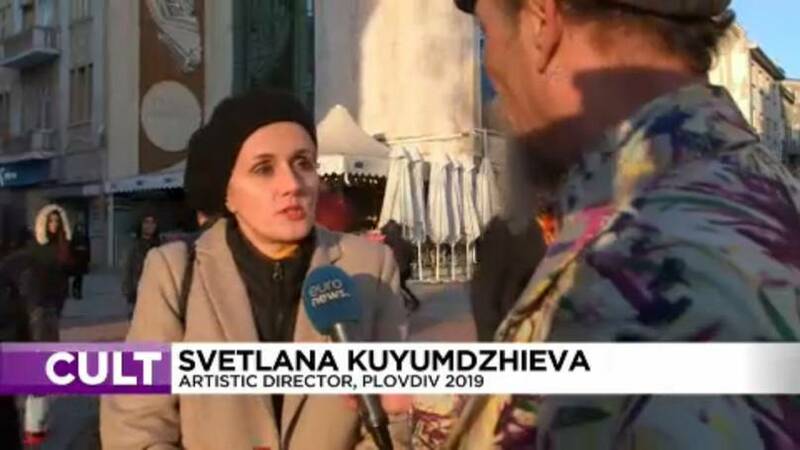 Svetlana Kuyumdzhieva, Artistic Director, Plovdiv 2019, explained the importance of unity and togetherness in the evolution of the historic city and the role it can play today through different cultures and the arts. "This city was built from different communities that actually did it together and they continued living here together peacefully, here together and we cherish the unity a lot, the unity we have with the other countries and with the other peoples in Europe and we know that this is not something that is a given like this, it's something we need to have to work for. So this 'Togetherness' is not just a motto for us, this is something that we really have to try to achieve through cultures and arts," Svetlana Kuyumdzhieva told Euronews. The exhibition 'Smoke. Tobacco Stories' explores the history of Plovdiv through the tobacco industry. Bulgaria was from the late Ottoman period until the fall of Communism a major provider of smoke ware products. By the late 1960s Bulgaria was the number one exporter of tobacco in the world by selling to the USSR and its satellite states. The exhibition shows where and how tobacco was grown in the city, as well as the merchants, workers, and the peasant growers in Plovdiv. The cultural year features around 500 events in Plovdiv, as well as the entire south central region of Bulgaria, and the cities of Varna, Sofia and Veliko Tarnovo. The exhibition 'Art Liberty' shows a collection of original fragments of the Berlin Wall, which were transformed into art works by international artists and pioneers of Berlin's street art movement of the 1980s. "My exhibition is not about the Berlin Wall. It's about the fall of the Berlin Wall, which represents a lot of hope, which is what I want .The freedom of hope. 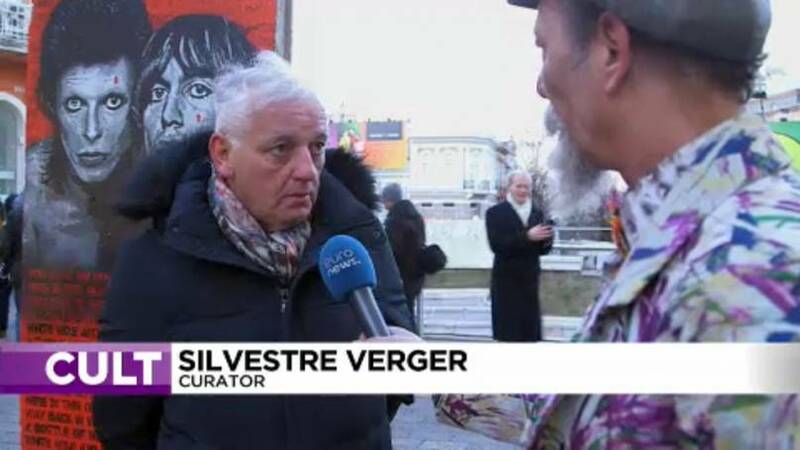 Therefore we have transformed these pieces of the Berlin Wall into works of art, pieces of hope and liberty," the exhibition's curator Silvestre Verger explained to Euronews. Graffiti artists started in the mid-1980s to add bright colours and visual gags to the ugly symbol of the Cold War, which began to fall on 9 November 1989. The following day the Bulgarian people were in the streets and forced their Communist Party to give up its political monopoly. The live show of the inauguration ceremony, entitled 'We Are All Colors' and involving 1,500 international participants, was a colourful metaphor for the 'Together' motto . As a small country, most Bulgarians know that this togetherness also has a political meaning. It was in 2007 when Bulgaria joined the European Union and Plovdiv is the first Bulgarian city to become European Capital of Culture. In 1985, Greece’s Minister of Culture Melina Mercouri and her French counterpart Jack Lang launched the idea of designating an annual Capital of Culture to bring Europeans closer together by highlighting the richness and diversity of European cultures and raising awareness of their common history and values.